Vignetting, which affects all lenses to some degree or another, regardless of their quality, manifests itself by darkening the edges and corners of the image. In this tutorial, we will see what causes vignetting, the different ways it can appear, and how to correct it — automatically, or if your equipment is not supported by a DxO Optics Module, manually. 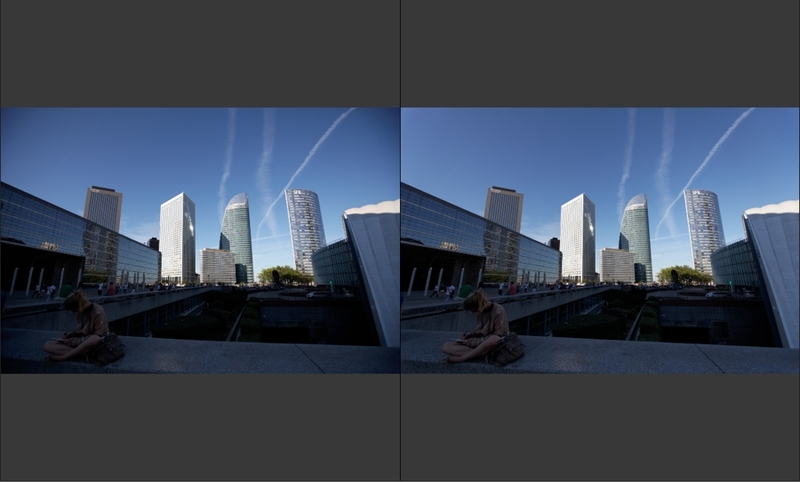 We will also see how to reintroduce vignetting as a creative or aesthetic effect. Vignetting manifests as a darkening of the borders and corners of an image, and is caused by a certain number of factors, such as the intrinsic quality of the lens, the focal distance, and the aperture used for shooting. Light loss is progressive from the center toward the edges of the lens, and can be measured: under 0.3 IL (or 1/3 of a stop), it is considered relatively negligible; above 0.3L is perceptible; and above 1 IL (1 stop), it is considered to be troublesome. Lenses with short focal lengths — wide-angle, ultra-wide-angle, and zoom lenses — tend to produce more vignetting than medium lenses; further, the phenomenon is amplified when using large apertures. 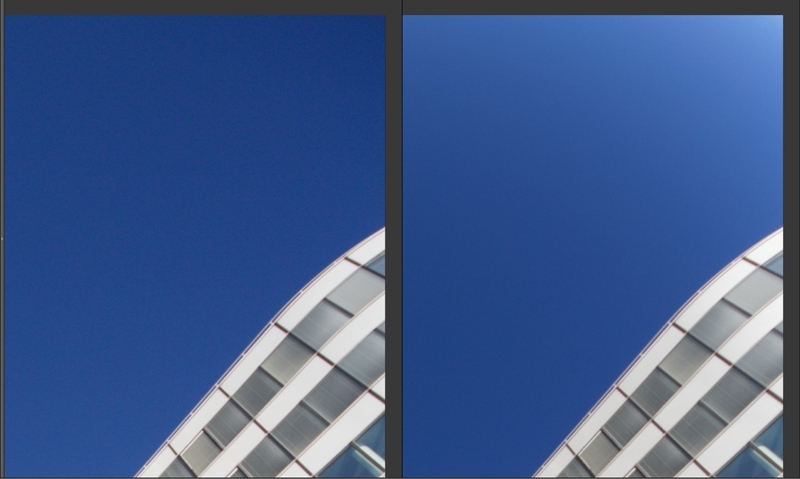 Vignetting is particularly noticeable on uniform backgrounds, such as a blue sky. The darkening of the edges of an image can be due to other causes not directly tied to the quality or type of lens, nor to the aperture. 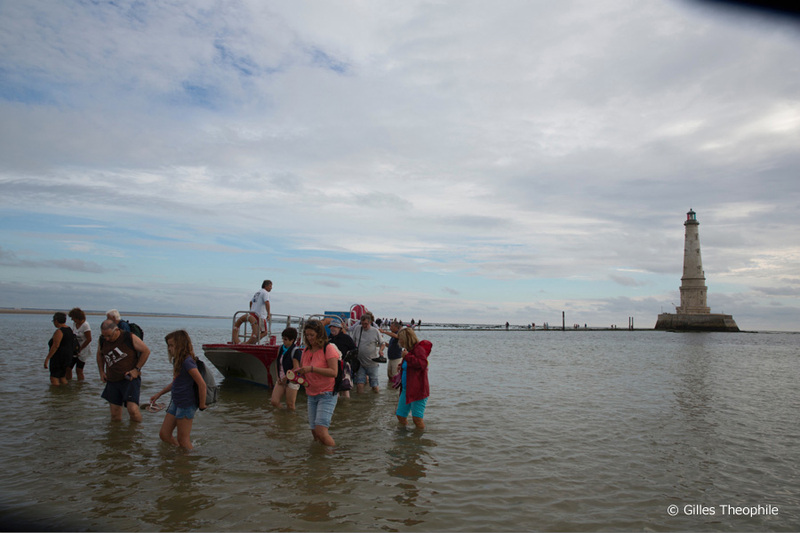 A poorly-placed lens hood, particularly one attached to a wide-angle lens with a large field of view, will appear in the image, and the best that the photographer will be able to do is to crop the photo considerably during post-production. Using an unsuitable lens can also case darkening, particularly when a lens designef for use with a small sensor is used with a camera with a large sensor. But vignetting can also be sought after as an aesthetic effect, and can be added to an image by using image-processing software. Example of vignetting with a mechanical origin: here, a poorly-attached lens hood, visible in the lower left and upper right corners. 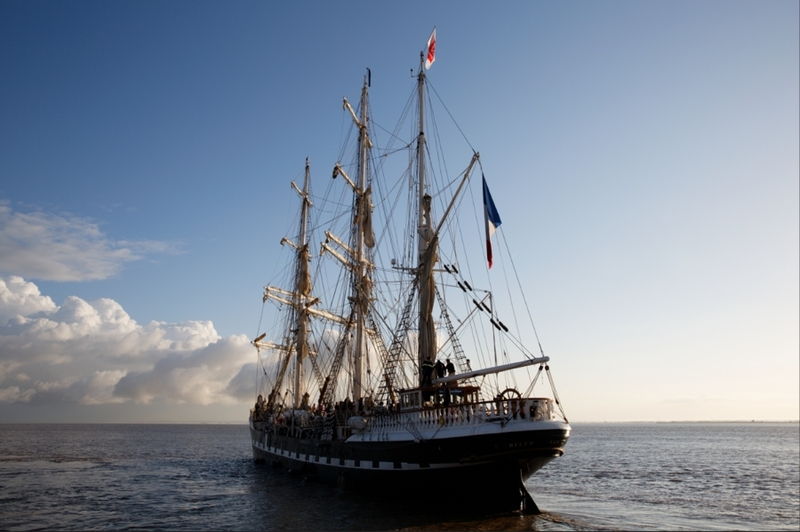 This type of “vignetting” can be corrected only by severely cropping the image. To maximally reduce the risk of vignetting, avoid taking photos at wide aperture — particularly og subjects with light-colored and uniform backgrounds, such as the sky. If you work in Program mode, make sure that the camera does not select too large an aperture. Pay attention to the speed/stop combination to be sure that it suits your subject: if you are shooting a photo with a blue sky background and the camera shows (for example) 1/4000e s. for an aperture of f/2.8, there is more than a strong chance that these values are inappropriate to the subject being photographed. The large aperture will not only produce vignetting, but the depth of field will be very small. In a case like this, consider re-balancing the exposure parameters: in our example, closing the diaphragm to f/8 will slow down the speed to 1/250e s. And at f/8, there is no risk that vignetting will appear. Make sure that you are using the right lens hood for your lens. Make sure that the hood is correctly attached and locked in place (even a slight displacement will be visible in the image). If you use filters, make sure that their mounting holders are not too thick (particularly if using them with a wide-angle lens. 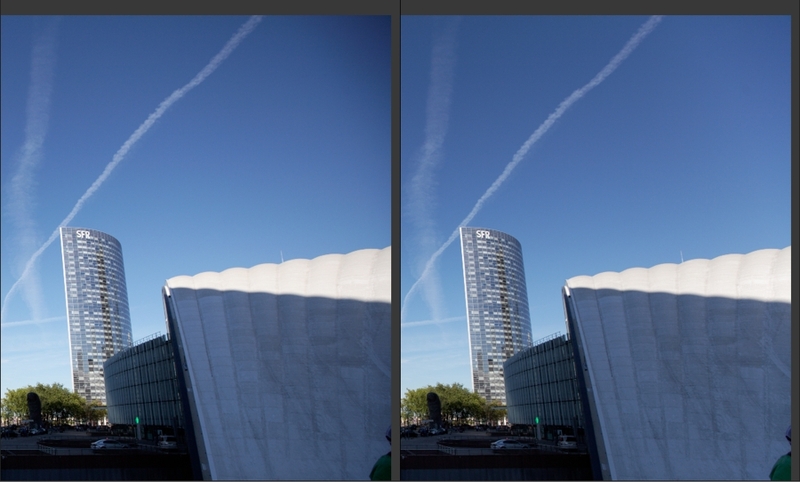 Happily, DxO Optics Pro easily corrects vignetting due to lenses. This correction can be automatic, if there is a DxO Optics Module for your equipment, or if not, you can manually correct vignetting. With DxO Optics Pro, if your photo equipment is supported by a DxO Optics Module, the vignetting correction will be entirely automatic, as soon as you open your image, just as with the correction of other optical problems such as distortion, chromatic aberrations and the lack of uniform sharpness of the lens. 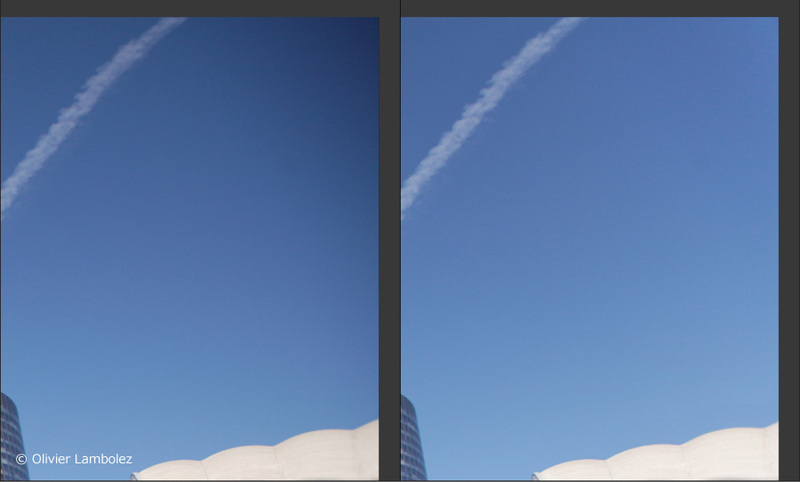 Visually, by comparing before and after images using the Compare button in the upper toolbar. By checking that the Vignetting sub-palette in the Optical Corrections palette is activated, and indicates Auto with DxO Optics Module. The Vignetting sub-palette, in the Optical Corrections palette. If you want to modify the automatic correction so as to preserve a bit of vignetting for aesthetic reasons, you can use the sliders available in the Vignetting sub-palette. Automatic correction can handle only optical or lens vignetting, and not vignetting due to mechanical reasons (e.g., lens hood or poorly-installed filters). Exposure compensation in case the correction for vignetting results in the image edges being overexposed. Control of the risk of color shift. Control of the risk of increased noise during the lightening of dark areas in the image. 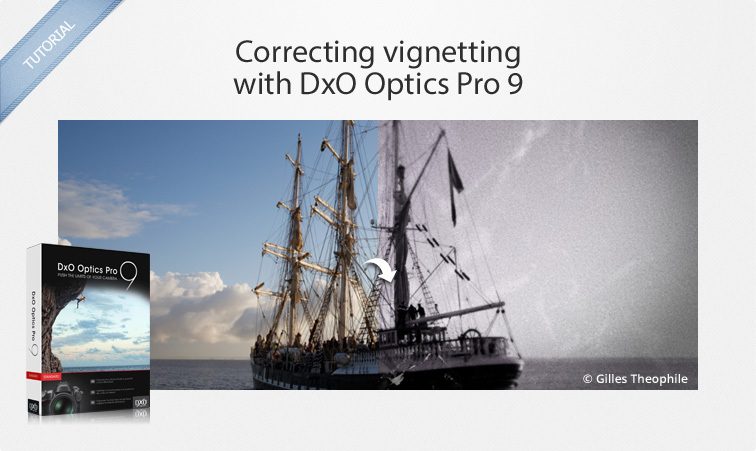 DxO’s automatic vignetting correction takes into account several factors tied to the image, compensating for such risks as overexposure, color shift, and increasing noise when lightening dark areas. More and more cameras are able to directly correct optical flaws in both RAW and JPEG files. With RAW files, DxO Optics Pro does not take into account any of the corrections performed by the camera, nor does it make use of what are referred to as “silent” corrections — that is, any optical correction that the camera writes in the image metadata. 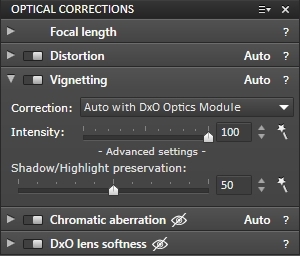 With JPEG files, if you would like to benefit from DxO’s high-quality corrections, we advise you to turn off the optical corrections via your camera’s settings menus so as to avoid any problems with double correction (i.e., first with the camera, then with DxO Optics Pro). Go to the Customize tab > Optical Corrections palette > Vignetting sub-palette. The sub-palette indicates Correction: Manual. Move the Intensity (default value: 0) to the right until the dark edges disappear. If necessary, use the Middle slider to adjust the correction radius. Manual correction of vignetting in an image that is not supported by a DxO Optics Module. 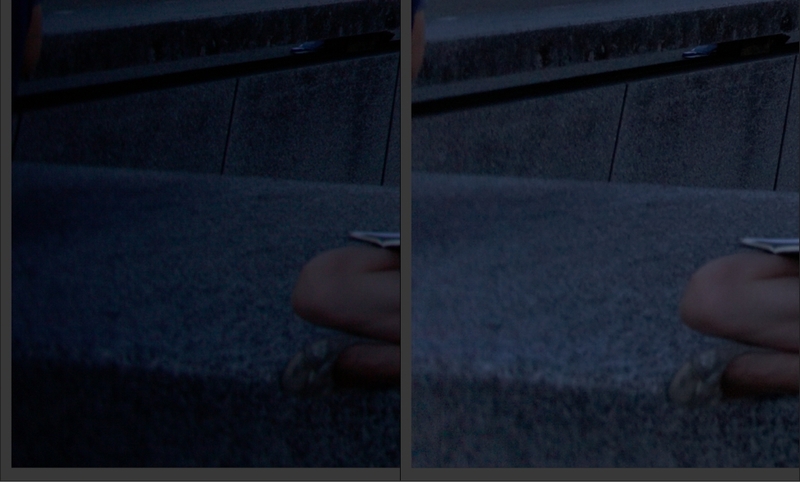 The Vignetting sub-palette in manual correction mode. Take care not to push the correction too far, otherwise you will end up with an inverse effect — that is, the edges and corners of your image will appear lighter than the center. Excessive vignetting correction, which manifests as too-visible lightening of the image edges. If DxO FilmPack is installed on your computer, all of its tools will automatically appear as a dedicated palette in DxO Optics Pro’s Customize tab. Creative vignetting: You can decenter this vignetting effect, as well as control its intensity, the position and gadation of the effect, and its shape (more or less circular). Creative blur vignetting: Another variation that uses the same tools as Creative vignetting, but this time resulting a blurry vignetting effect in the image. 1. Correction via Standard preset. 3. Black & white conversion, Kodak T-Max 3200 film. 5. Grain intensity pushed to 150. 6. Creative vignetting (Intensity –60, centered). 7. Blur vignetting (Intensity 17, decentered toward the bottom). 8. Texture effect (creased paper). 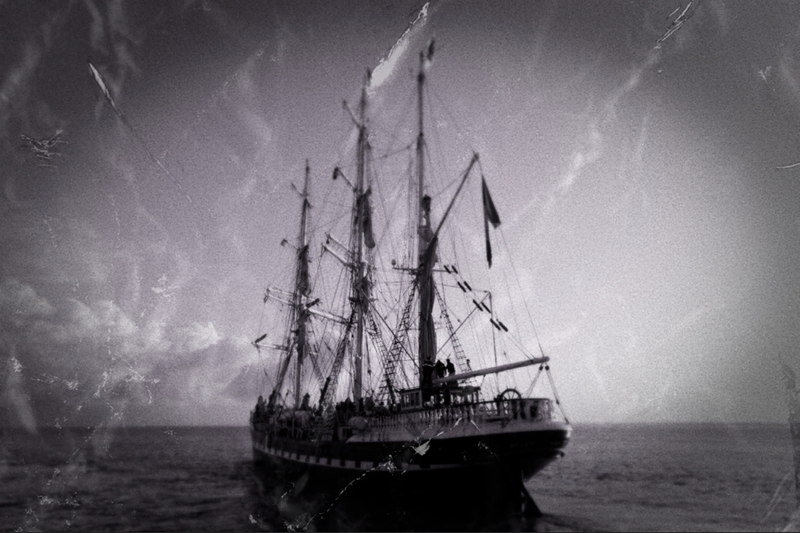 An artistic vignetting effect created by DxO FilmPack.